It's the most hilarious book yet from "the funniest damn writer in the whole country" (Carl Hiaasen, and he should know) . By the end, you'll have to admit that whatever else you might think about Florida - you can never say it's boring. 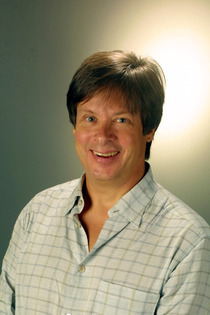 The New York Times has pronounced Dave Barry "the funniest man in America." But of course that could have been on a slow news day when there wasn't much else fit to print. True, his bestselling collections of columns are legendary, but it is his wholly original books that reveal him as an American icon. Dave Barry Slept Here was his version of American history. Dave Barry Does Japan was a contribution to international peace and understanding from which Japan has not yet fully recovered. Dave Barry's Complete Guide to Guys is among the best-read volumes in rehab centers and prisons. Raised in a suburb of New York, educated in a suburb of Philadelphia, he lives now in a suburb of Miami. He is not, as he often puts it so poetically, making this up.